A client stumbled upon an idea for a new product while she was sourcing new fabrics for her clothing business—she’d discovered a fabric that removes makeup using only water and can be machine-washed and she created eyeball shapes in 3 colors. 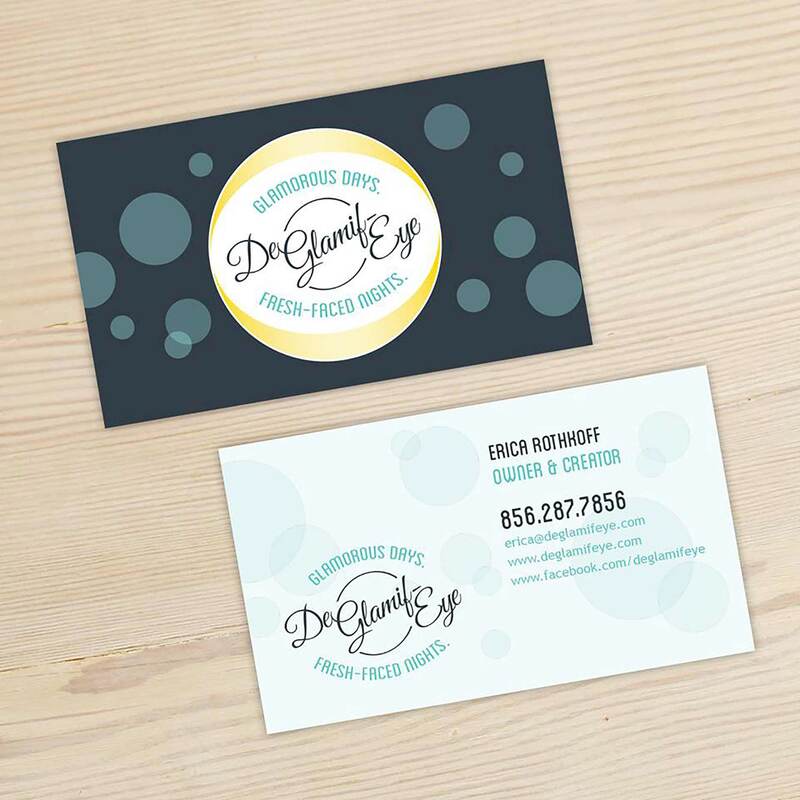 The demand was strong and she needed visual branding, packaging, promotional flyers and a website ASAP. 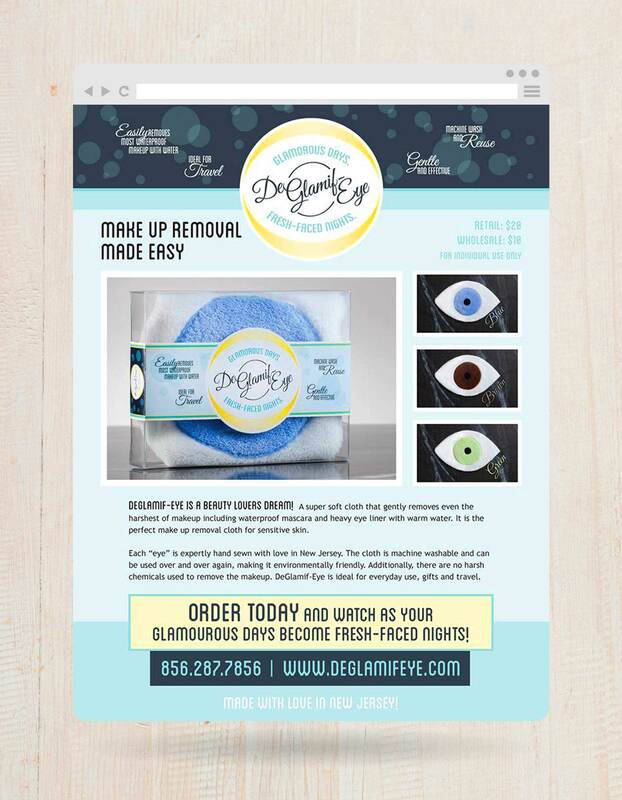 DeGlamif-Eye’s branding had to be fun, playful and “eye”-catching for retail in salons and for individual website sales. The resulting brand is inspired by eyes, eyeliner, water, nighttime and New Jersey.